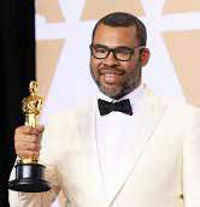 Jordan Peele stopped writing the script for his horror- satire film Get Out about 20 times before he finally finished it. On Sunday night, it won him an Oscar. A number of other nominees— writer-director Greta Gerwig and cinematographer Rachel Morrison among them — made a splash with their own historic Oscar nods but failed to do so at the actual ceremony. James Ivory, however, wrote the adapted screenplay for Call Me by Your Name and at 89 became the oldest person to ever win an Oscar. Cinematographer Roger Deakins made a record of his own when he finally won his first Oscar for his work on Blade Runner 2049 after losing 13 times throughout his career. 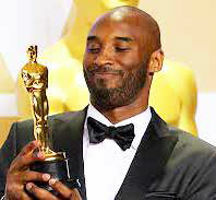 Foreign-language film A Fantastic Woman earned Chile its first-ever win, and Kobe Bryant, who wrote the animated short Dear Basketball, became the first NBA player to take home an Academy Award. “As basketball players, we’re really supposed to shut up and dribble, but I’m glad we do a little bit more than that,” Bryant said. He accepted the award alongside director Glen Keane. Robert Lopez, who cowrote best original song Remember Me from Coco with his wife, Kristen Anderson-Lopez, earned the distinction of becoming the only person in the world to ever achieve a double EGOT. (Twelve people total, including Mel Brooks and Rita Moreno, have earned at least one Emmy, Grammy, Oscar and Tony.) While it’s worth noting that both of Lopez’s Emmys are daytime awards — they’re for his work on the animated children’s series Wonder Pets — he has three Grammys, three Tonys and another Oscar, which he and Anderson-Lopez won in 2014 for writing the Frozen earworm Let It Go. 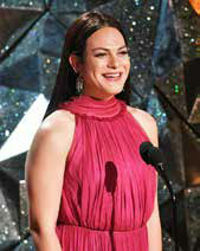 Oscars broke new ground by, for the first time, having a trans-gender actress, Daniela Vega, introduce a musical performance. “A Fantastic Woman” star Daniela Vega became the first openly transgender presenter when she introduced Sufjan Stevens’s performance of Mystery of Love from Call Me by Your Name. Although Vega was not nominated in the best actress category, director Sebastián Lelio thanked her while accepting the award for best foreign-language film.